Austria faces a new political crisis. Prime Minister Werner Faymann has resigned from his government post as well as from his position as chairman of the ruling Social Democratic Party. The duties of the head of government are being temporarily taken over by Reinhold Mitterlehner, representative of the Austrian People’s Party. The Social Democrats do not support their leader on his attitude towards migrants in the country. Last year, against the background of the migration crisis in the EU, Faymann has took a position unexpected for a European social democrat. Having survived the invasion of migrants, Austria introduced border control measures and additionally agreed with Serbia, Macedonia, Montenegro and Croatia on a general policy to block the flow of migrants coming from Greece to Central Europe though the Balkan route. This week, the Austrian Parliament had to consider new amendments to the country's laws toughening rules for obtaining asylum. The anti-migrant policy of the Chancellor caused significant discontent among the left side of the party. The EU and neighboring Germany put severe pressure on the country's leadership, advocating that the blocking of the Balkan route be discontinued. At the same time, most Austrians have a much more radical attitude on the matter. According to polls, the most popular party in the country is the conservative-nationalist "Austrian Freedom Party." In late April, the country held the first round of presidential elections which were won by the Freedom Party’s Norbert Hofer. At the same time, representatives of the ruling coalition of Social Democrats and People's Party gave up in front of Hofer as well as the leftist candidate from the Greens. 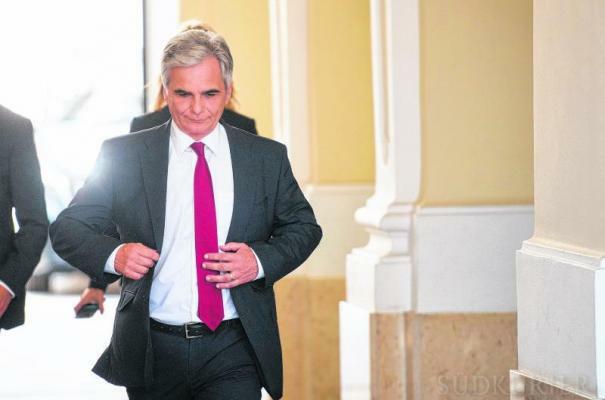 As a result, Faymann was caught between a rock and a hard place. On the one hand there was pressure from below calling for the radicalization of anti-immigrant measures; on the other hand the pressure of the Left and liberals within the party and with the EU demanded the exact opposite. The name of the next chancellor of Austria will be known after the re-election of the Social Democratic leadership. Early parliamentary elections are the least likely scenario since the ruling coalition will be defeated. They have no intention of handing over power to the Freedom Party. The Austrian leadership will most likely continue the policy of maneuvering between the opponents and supporters of tougher measures against migrants. Unable to cope with the internal crisis in the party, support for the Austrian Freedom Party will only increase.